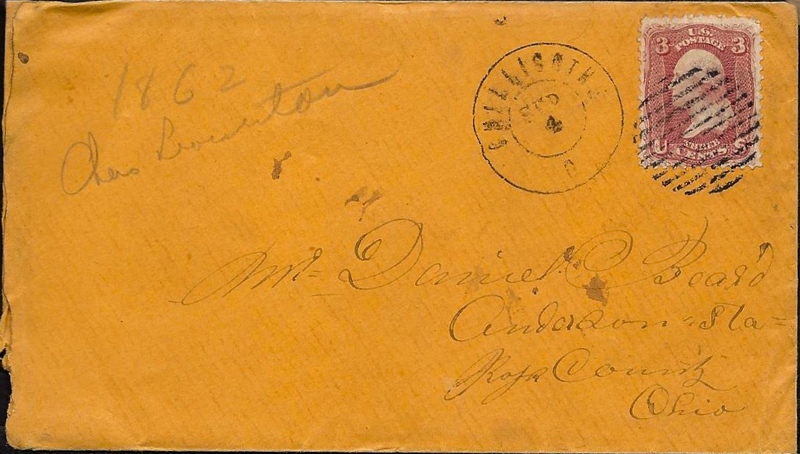 This letter was written by Private Charles W. Leaverton of Company A, 18th Ohio Infantry. Nothing further found on this soldier. Other soldiers mentioned in the letter from the 18th OVI include Sgt. Thomas B. Jenkins and Corp. George W. Bishop. Charles wrote the letter to his friend, Daniel M. Beard (1838-1907) of Ross County, Ohio. Daniel was the son of William Beard (18xx-1868) and Amanda Rodgers (1806-1887). He married Arvilla Jane Augustus (1844-1926), the daughter of Springer and Lucretia Jane (Jenkins) Augustus in 1863. 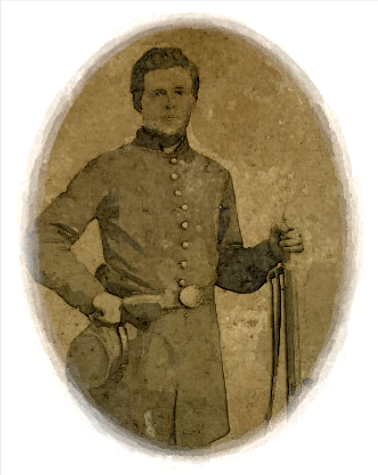 The 18th OVI Record of Service: Duty at Elizabethtown and Bacon Creek, Ky., November, 1861, to February, 1862. Advance on Bowling Green, Ky., February 10-15, and on Nashville, Tenn., February 18-25. Occupation of Nashville, Tenn., February 25-March 18. Reconnoissance to Shelbyville, Tullahoma and McMinnville March 25-28. To Fayetteville April 7. Expedition to Huntsville, Ala., April 10-11. Capture of Huntsville April 11. Advance on and capture of Decatur April 11-14. Operations near Athens, Limestone Bridge, Mooresville and Elk River May 1-2. Near Pulaski and near Bridgeport May 1. Moved to Fayetteville May 31. Negley’s Expedition to Chattanooga June 1-15. At Battle Creek till July 11. Guard duty along Tennessee & Alabama Railroad from Tullahoma to McMinnville till September. Short Mountain Road and McMinnville August 29 (Cos. “A” and “I”). Retreat to Nashville, Tenn. Siege of Nashville September 12-November 7. Near Lavergne October 7. Duty at Nashville till December 26. Advance on Murfreesboro December 26-30. Battle of Stone’s River December 30-31, 1862, and January 1-3, 1863. Duty at Murfreesboro till June. Middle Tennessee or Tullahoma Campaign June 23-July 7. Occupation of Middle Tennessee till August 16. Passage of Cumberland Mountains and Tennessee River and Chickamauga (Ga.) Campaign August 16-September 22. Davis Cross Roads or Dug Gap September 11. Battle of Chickamauga September 19 21. Rossville Gap September 21. Siege of Chattanooga, Tenn., September 24-November 23. Reopening Tennessee River October 26-29. Brown’s Ferry October 27. Chattanooga-Ringgold Campaign November 23-27. Orchard Knob November 23-24. Mission Ridge November 25. Engaged in Engineer duty at Chattanooga till October 20, 1864. Mustered out November 9, 1864. I employ a few minutes on the depot platform in merely informing you that I am still alive and in the ranks of Uncle Sam. Yesterday we were deployed on this McMinnville Railroad to guard its bridges and begin building us stockades. Labored until near evening when we were ordered back to Manchester under the report of a general skedaddle all along our line toward Nashville but this morning we are ordered to halt though are to be ready to march at any moment. We are generally well — at least tolerably well. T[homas] B. Jenkins has not his discharge yet. It has gone to headquarters. G[eorge] W. Bishop has a discharge and will start for home on this train which is now awaiting for order by whom I will send this note in hopes it may find you in good health. Though not good enough to enlist again, do you never enlist? I will I guess have a mind to. I put one whole uninterrupted year. More than 8 out of 10 the regiment over has done and I assure you, you will rue the day you plight your allegiance to obey any man and men under U. Sam. ___ is good enough. The laws are good enough as agreed upon by our legislators but that code of laws and what is done is two things our country is not worth what it is costing. At least you would not think so if you were here. I love my country and think I will benefit of the experience and serve my country too. Tis enough now to say that we are well without recounting anything of the past. It would not do you any good. I am in tolerable spirits, am becoming troubled some as an American, and shall serve to vantage and come home morally no better but physically worse sure. Tommy [Jenkins] will be home soon and then hear him. I will sign all he can say. You will please remember me kindly to all the folks. I have not had a letter from you for a long time nor anyone else save one. The last I think was from Arvilla, your own sweetheart, this month. The rifle will come by Tommy and Samuel Parkes. This entry was posted on Wednesday, October 15th, 2014 at 5:08 am	and posted in Uncategorized. You can follow any responses to this entry through the RSS 2.0 feed.